(Orange flesh) 85 days. [1997, developed by Merlyn Niedens.] Retains many characteristics of Jenny Lind but is more vigorous, compact, productive, and fruits have better insect resistance. Merlyn’s plants produced over 40 fruits from just 2 hills in one of his gardens in Illinois. Fruits weigh up to ¾ lb and have a sweet orange flesh. Pkt. 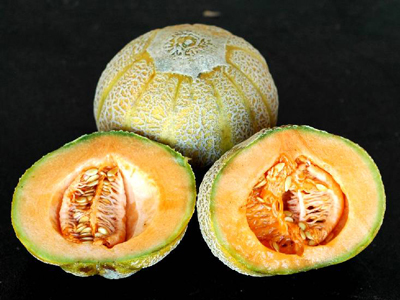 Please refer to our Muskmelon (Cantaloupe) Growing Guide for cultural information. Packet: 2 g unless otherwise stated (approximately 50 to 90 seeds, depending on variety) sows 50'.